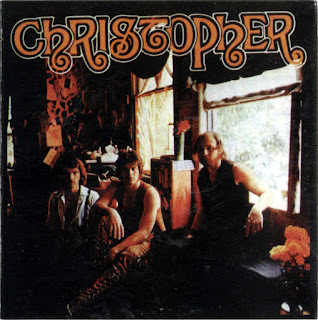 Another one of Texas' wealth of interesting, late-'60s psychedelic bands, Christopher came together in 1968 in the Houston area. Doug Tull (drums), Doug Walden (bass, vocals), and Richard Avitts (guitar, vocals) were the original members of the band, which was originally known as United Gas. Tull and Avitts, at the time playing in a series of R&B and soul-leaning groups, first met in 1966 when Tull sat in on drums with one of Avitts' bands. Tull, however, was not as serious about the music as Avitts, leading to an eventual split. Tull developed a friendship around this time with Jefferson Airplane guitarist Jorma Kaukonen, and, in 1967, invited Avitts to jam with them. Certain that they had the makings of a band, the two went searching for a bassist who could sing, eventually finding Doug Walden. It was not long before United Gas developed a following in and around Houston, playing local clubs such as Tangerine Forest, whose owner, Nick Lee, developed an interest in the band, eventually becoming their manager. Walden and Avitts began writing their own material and recorded a demo that Lee had circulated around Las Vegas and Los Angeles by his connections in those cities. United Gas moved to Las Vegas for a brief time and then to Los Angeles after L.A. record label Metromedia offered them a two-year contract. At the behest of Metromedia, the band changed their name to Christopher so that they wouldn't be confused with similarly monikered California band Pacific Gas & Electric. Walden and Avitts felt Christopher to be a religious band -- the name is derived from Saint Christopher -- and wanted to convey this through the music. Recording of their first album started in early 1969; however, it was hampered by Tull's drug use and his failed suicide attempt. He was fired (later returning to Houston and joining Josephus) and the sessioins were completed with drummers John Simpson and Terrence Hand. The result was Christopher's self-titled debut album, released in a single 1970 pressing of a thousand LPs by Metromedia. Walden and Avitts remained in Los Angeles playing as Christopher until Avitts returned to Houston later in the year. From the psychedelic tribal blues opener "Dark Road" through to the end of the album, Christopher shows just how strong the second-level psychedelia of the late '60s could be. There was no shortage of great musicians hailing from Texas during the era, and the ones who remained in the state were forming some of the most idiosyncratic bands of the swirling, inventive times: top-flight bands such as Thirteenth Floor Elevators, Lost & Found, the Golden Dawn, and Christopher. Christopher, though, cannot exactly be lumped together with those peers. 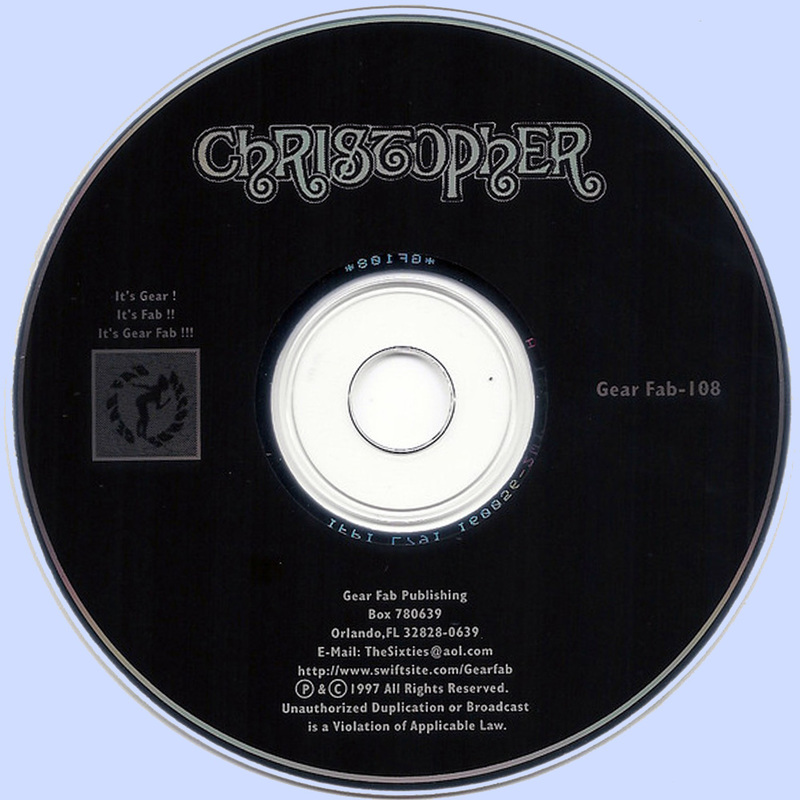 They had to leave Texas for California to make their mark, and indeed, Christopher owes a good deal to the music of that state -- songs such as "Magic Cycles" and "In Your Time" are informed by the dreamier qualities of the San Francisco sound, especially the extended atmospherics of Jefferson Airplane and the Grateful Dead. There are also hints of fellow Los Angeles bands the Doors and Spirit throughout the album, and like the best music coming out of California, the songs on Christopher sound somehow revolutionary and foreboding, as if there is something dark lurking just beneath the surface of the music. Occasionally, Christopher occupied similar musical territory as Cream. They were not unfamiliar with the blues, and, like the British supergroup, they were an absurdly powerful three-piece with an abundance of ability in both instrumental and songwriting proficiency. In addition, Doug Walden's vocals are a dead ringer for Jack Bruce. With that said, the album actually sounds quite different from Cream. Christopher are somehow both more mystical and earthy. "Dark Road" starts out with a loping, jazzy blues groove before being propelled forward by a tempo change and some brilliant, musical drumming. "Wilbur Lite" seems grounded by some slashing chording by Richard Avitts, but then an open-ended melody and upward bass progression raise the song up off its legs. "Queen Mary" rolls along on top of a choppy drum beat and bass groove until Walden's phenomenal spine-tingling vocals soar above the music, uncontainable. The music itself, however, never spins out of restraint. The songs are all relatively succinct, never growing excessive or dull, and Avitts' guitar playing is economical. The lyrics can get a bit pretentious here and there, but that doesn't even really qualify as a minor flaw since it is a product of ambitiousness and the era. Christopher is one of the finer albums to have fallen completely through the cracks of the '60s, and Christopher one of the era's best forgotten bands. One wishes that they had stuck around long enough to create more music.